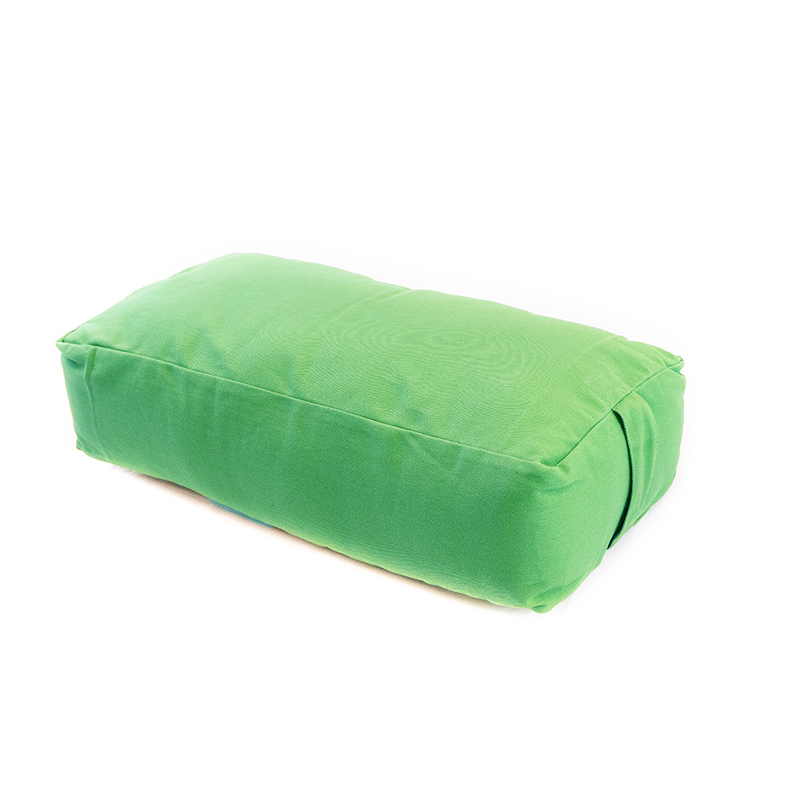 Show some support for your love of yoga with Yoga Direct's Supportive Rectangular Cotton Yoga Bolster! 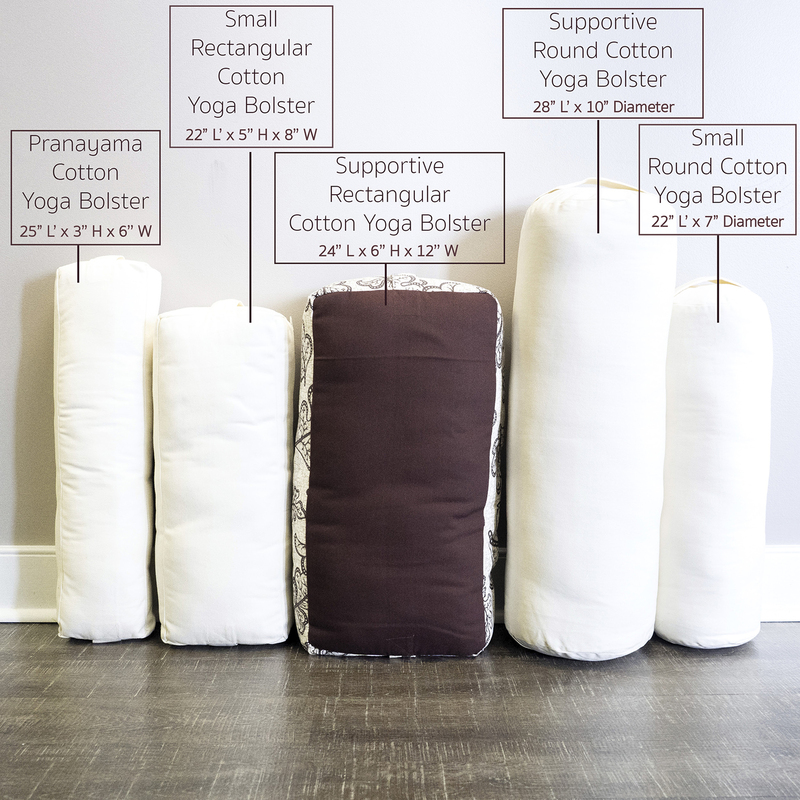 Yoga Direct uses a dense 100% cotton batting stuffed tight into a removable and washable cotton cover. 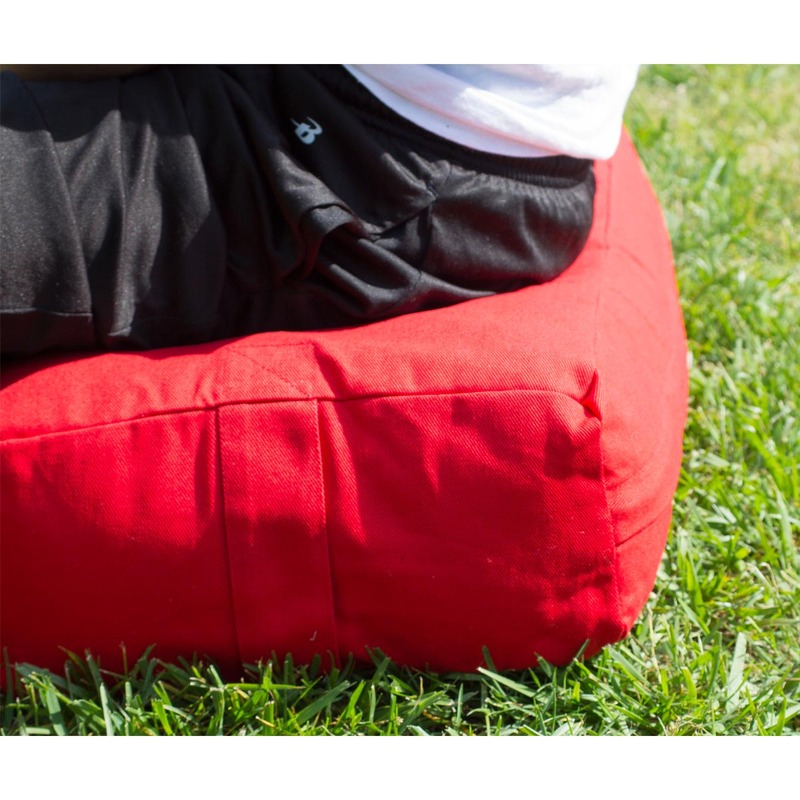 Batting can be removed or added for an extra firm or cushioned support to provide support and comfort to several yoga poses. 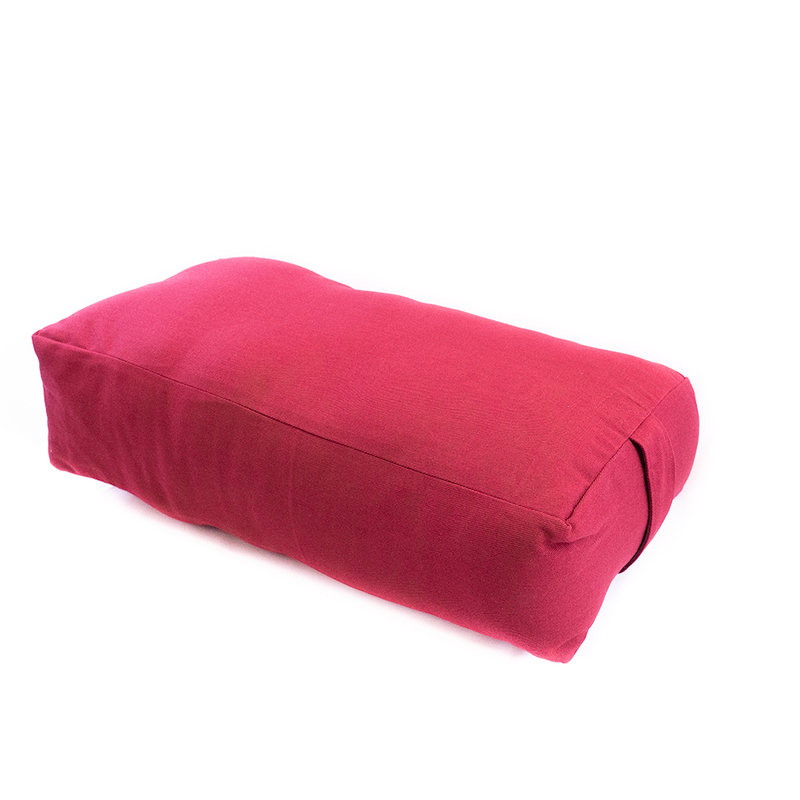 Great for restorative yoga, our rectangular yoga bolster is 2 feet long, one foot wide, and a half foot deep! 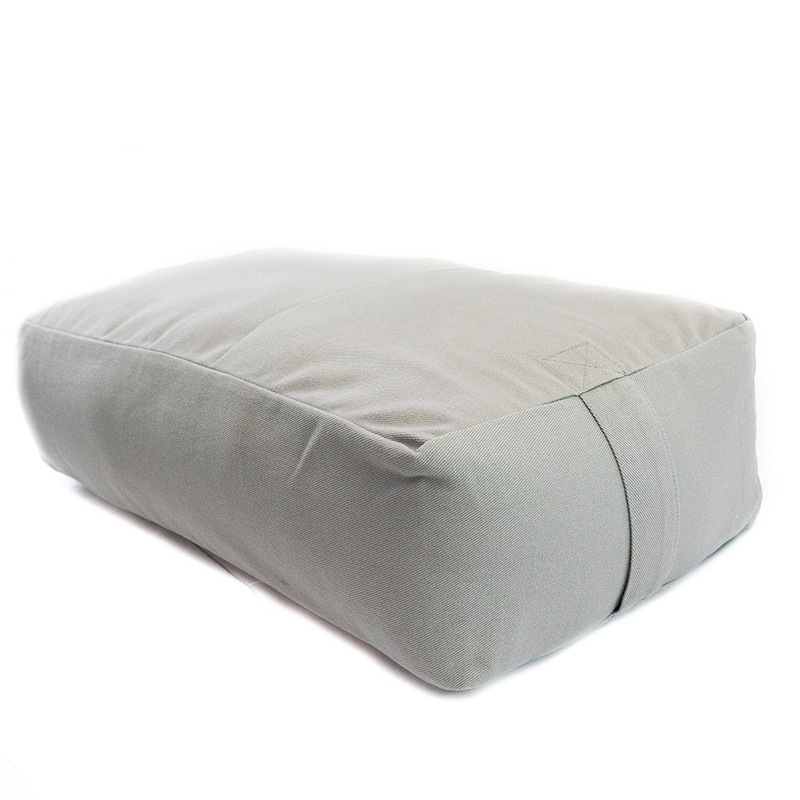 Measurements will be slightly larger upon delivery due to the fluffy nature of cotton but will settle over time. 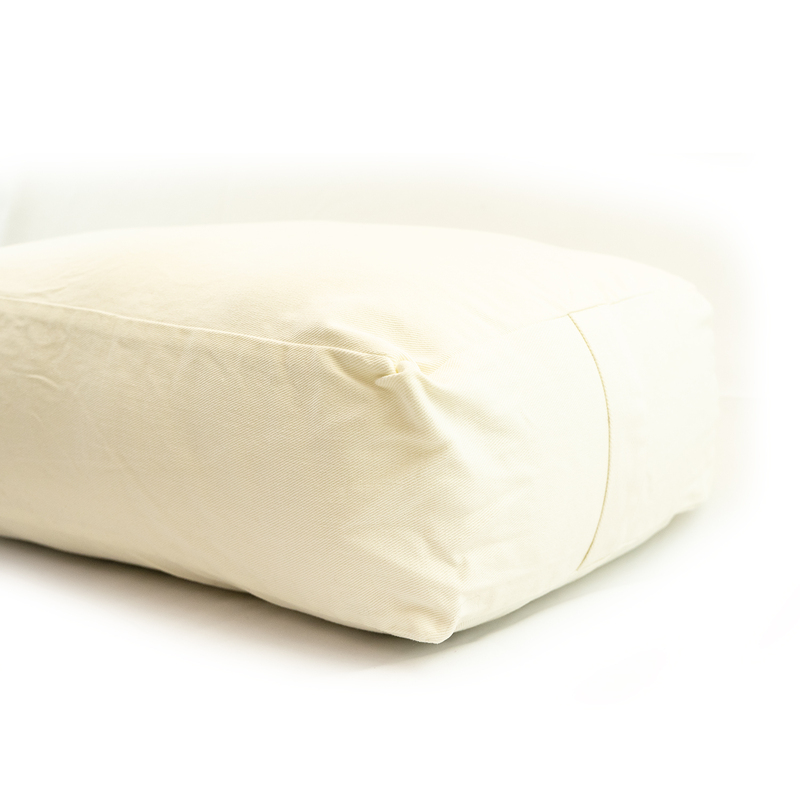 You can remove excess batting through the zippered opening if you prefer a softer yoga pillow. 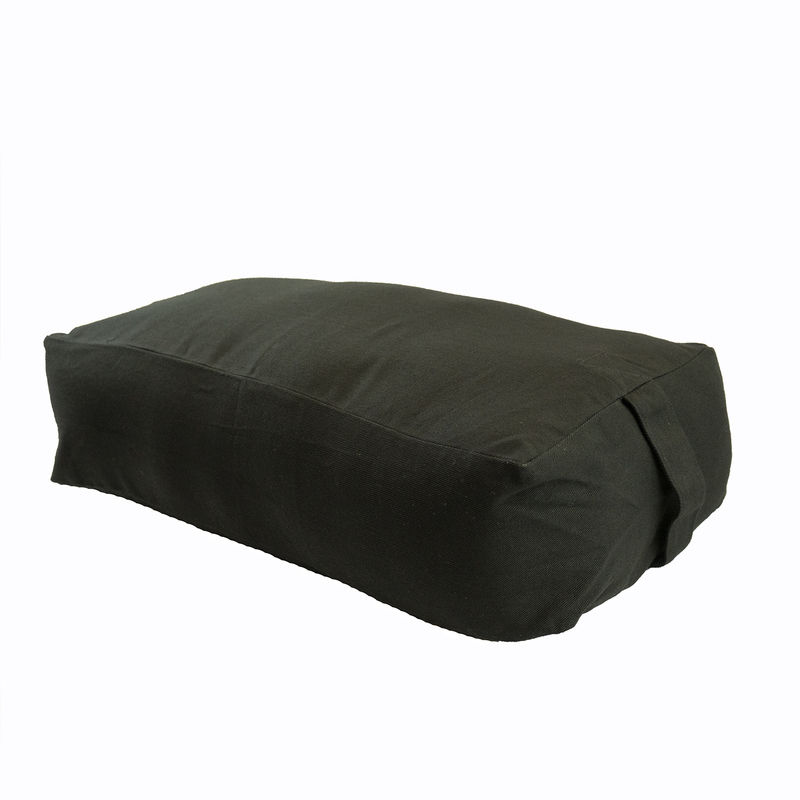 We have used the Supportive Rectangular Cotton Yoga Bolsters during yoga and meditation class for bodily support under limbs and body, to sit upon during meditation and to place on top of one's heart/chest during savasana. They are sturdy, firm, and heavy. 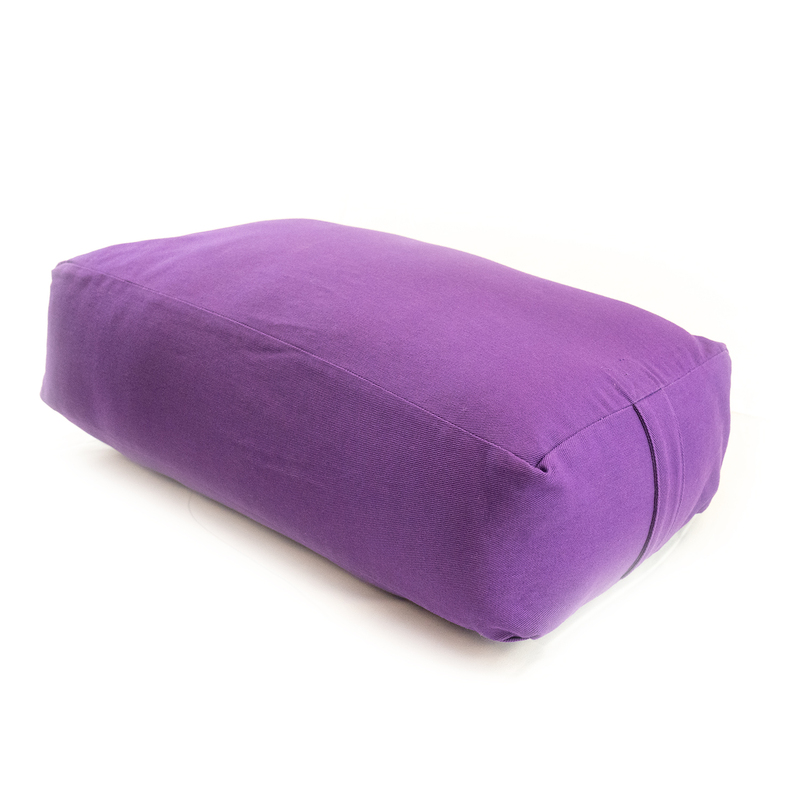 We ordered them in purple and are really pleased with the color, size and performance. 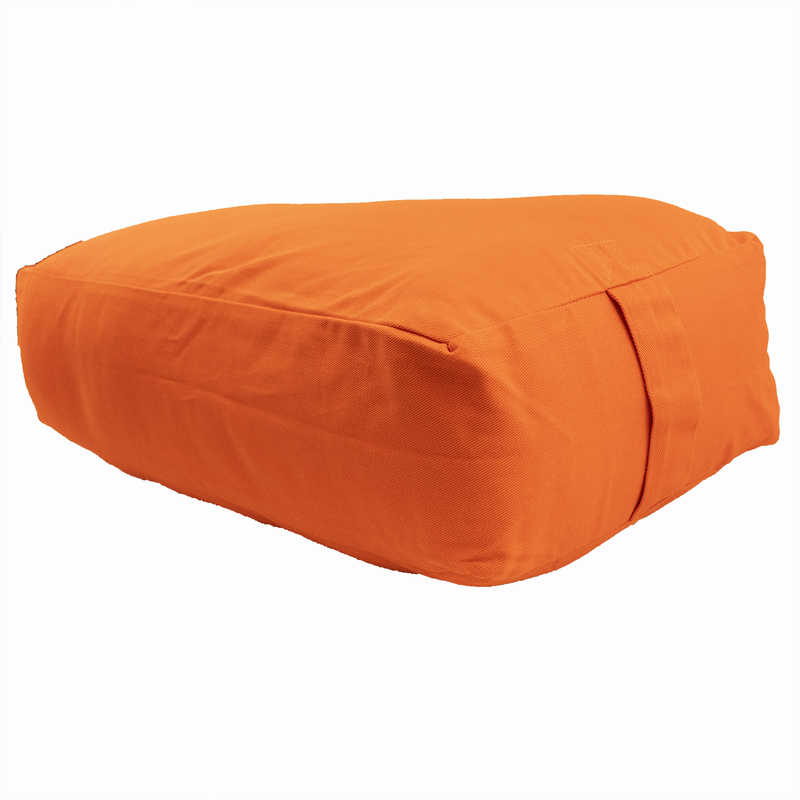 I am new to bolsters. This is my very first one. For a smaller booster, it’s very thick and long! 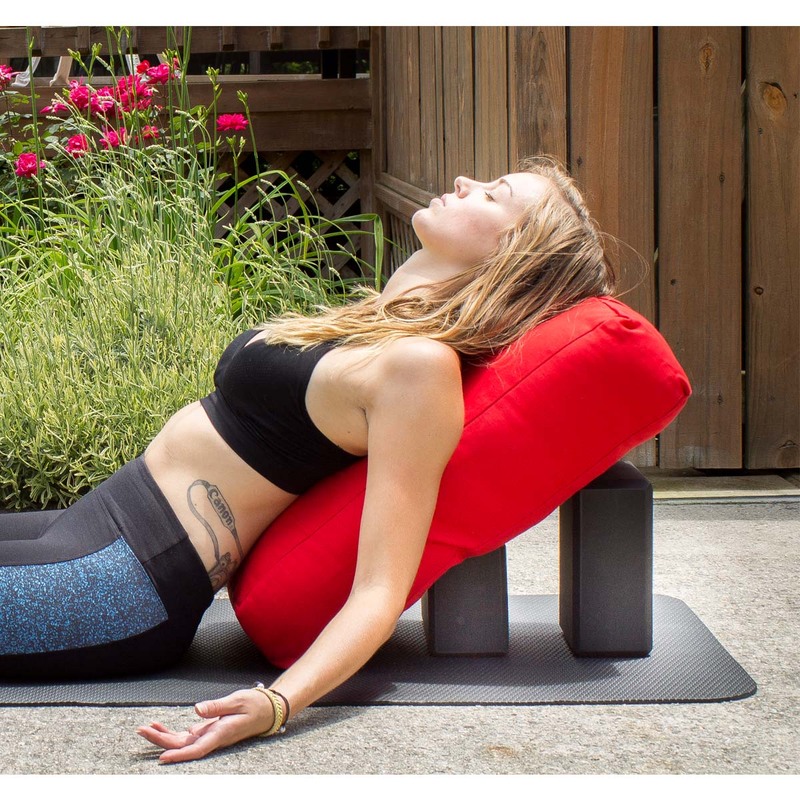 I looked up asanas which would benefit from a bolster as I was only familiar with the child’s pose. I found many poses I could teach my clients. 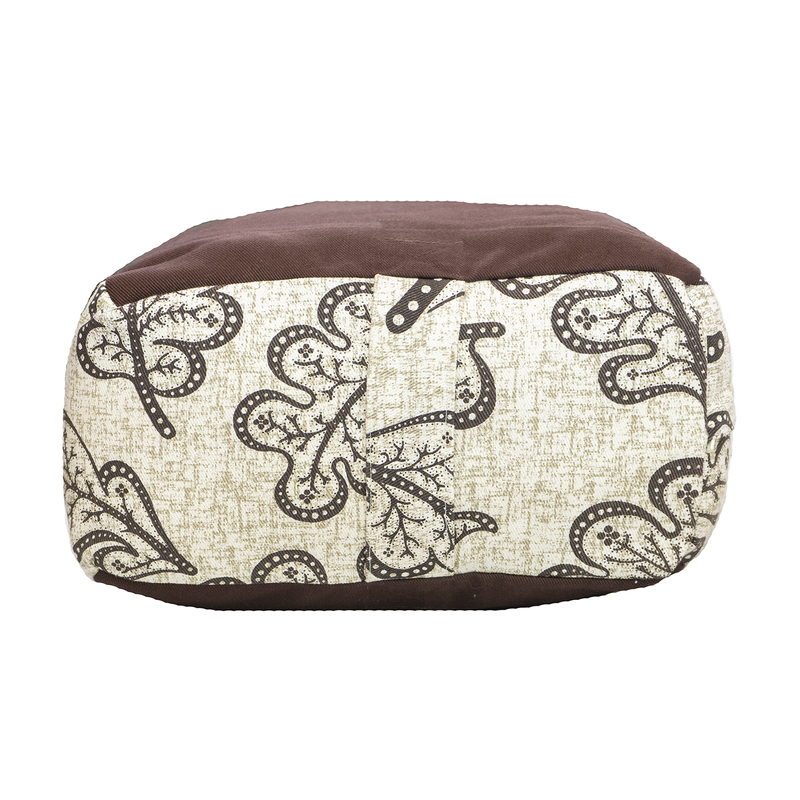 I chose the leaf colored bolster and I am quite content with the pattern and colour. 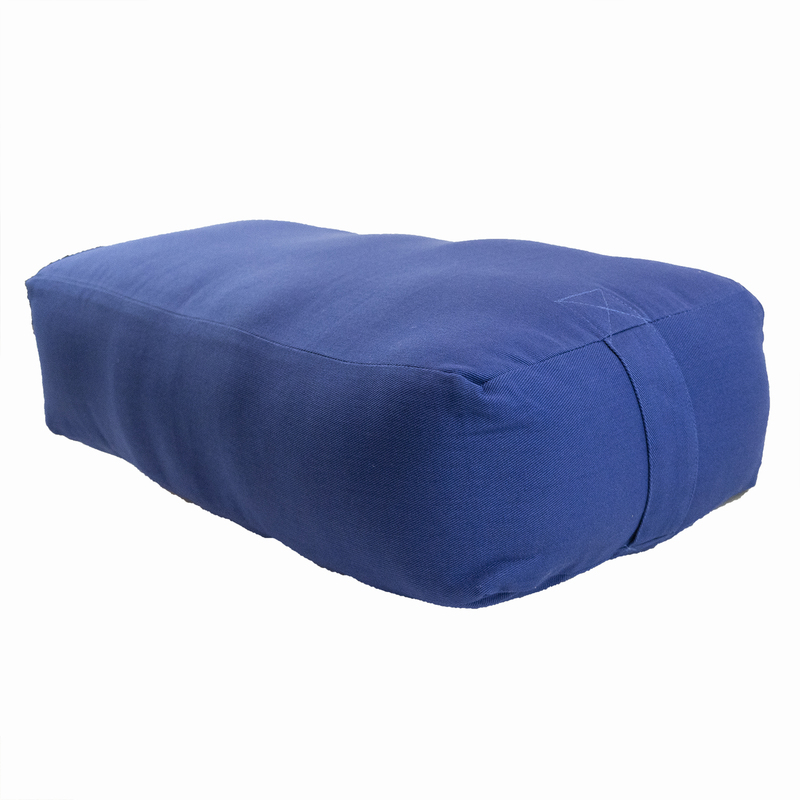 One thing I would recommend is if Yoga Direct could offer travel bags for bolsters as it is quite cumbersome to travel with. 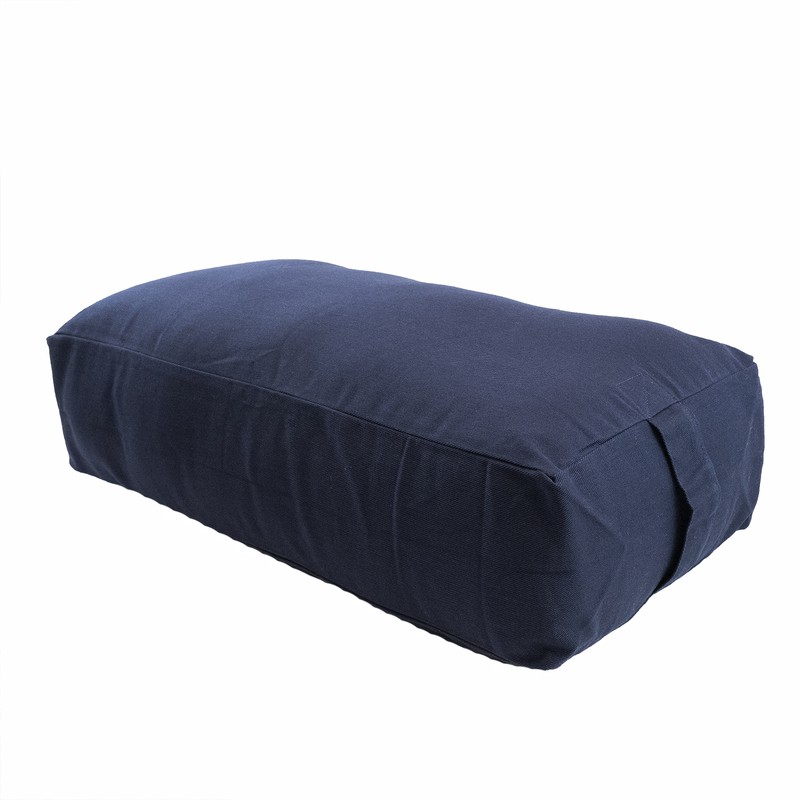 I was using my suitcase, but something else which would carry the bolster and all of my yoga gear would be great! 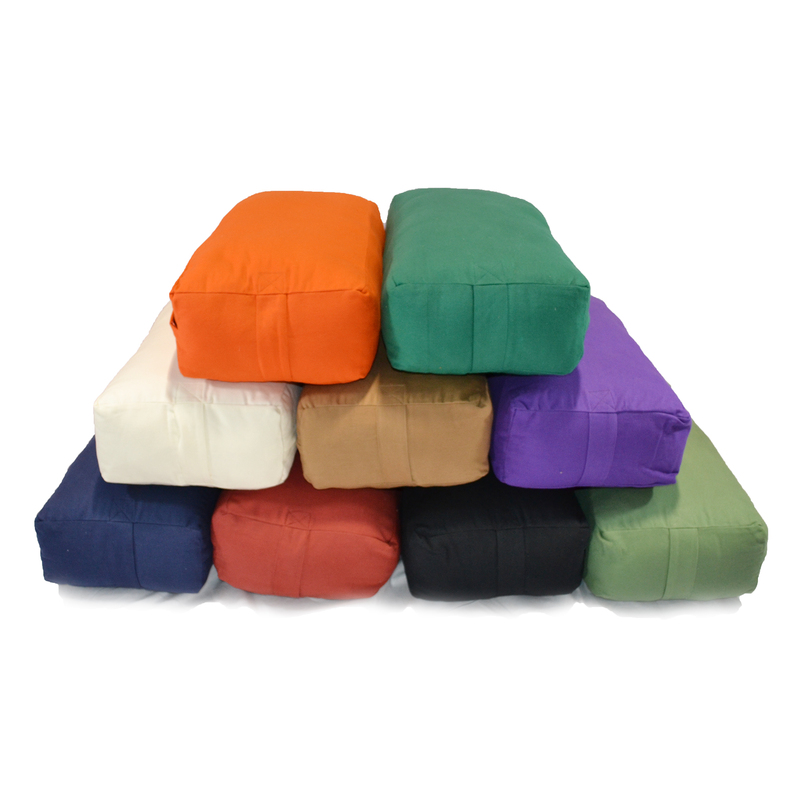 Love these bolsters. Great quality for the price. 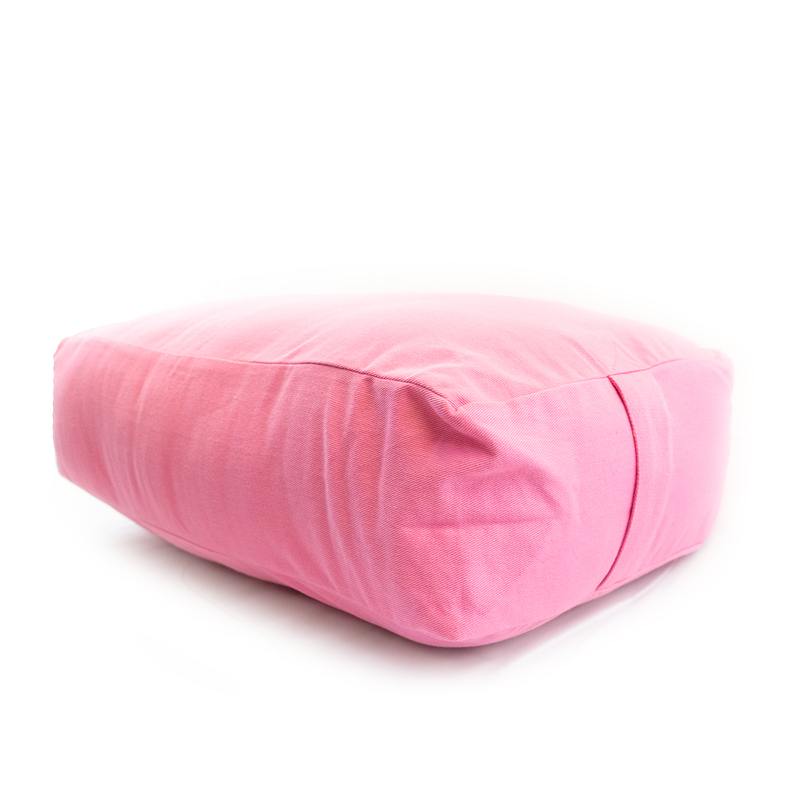 I got these to use for restorative yoga classes. I ordered blue, but got purple ones instead. I don't really mind the purple, but just weird to get a different color than I ordered. Very nice product. Firm, appears to be well made. 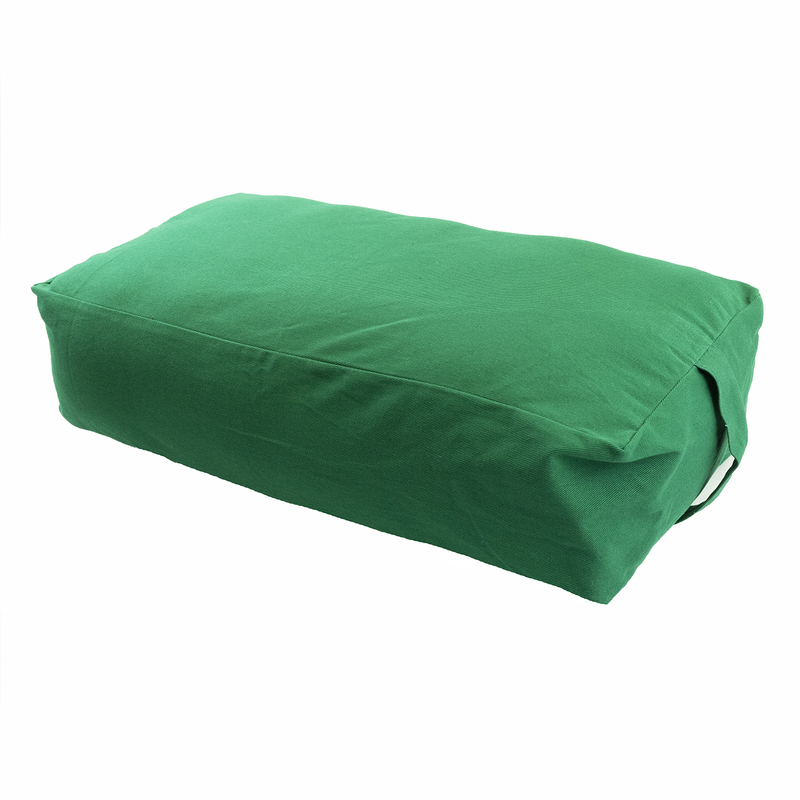 I got the sage green, which is a soft "quiet" color. 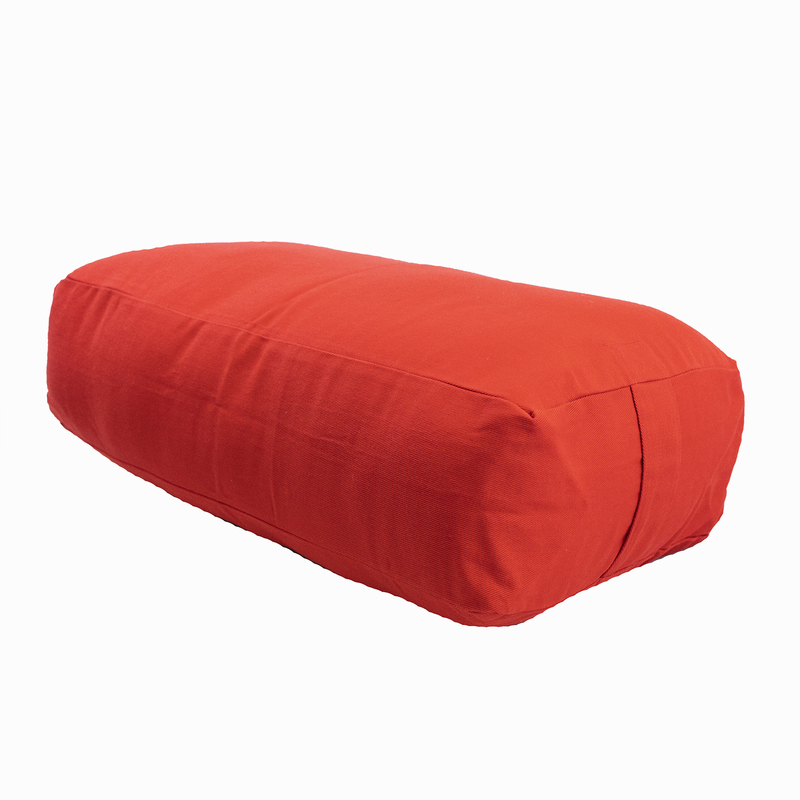 Love these bolsters, great quality. The smell from the plastic was gone after a few days of letting them air out. 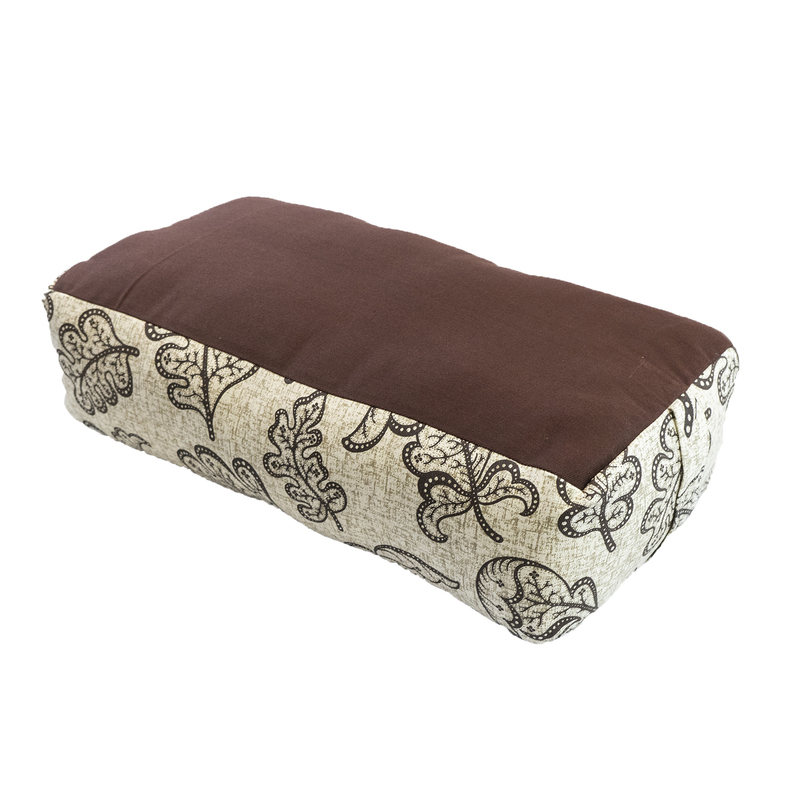 great bolster-using it every day!! Just got the thing for a training I start in January. Tried it out a couple of times. It's does it's job. I'll let you know after 4 months on wear and tear how it hold up.